The MP for North East Somerset will take calls around the biggest stories of the day in a 60-minute programme. The show will be broadcast live every Friday at 6pm from LBC’s studios in London, as well as from locations across the UK. 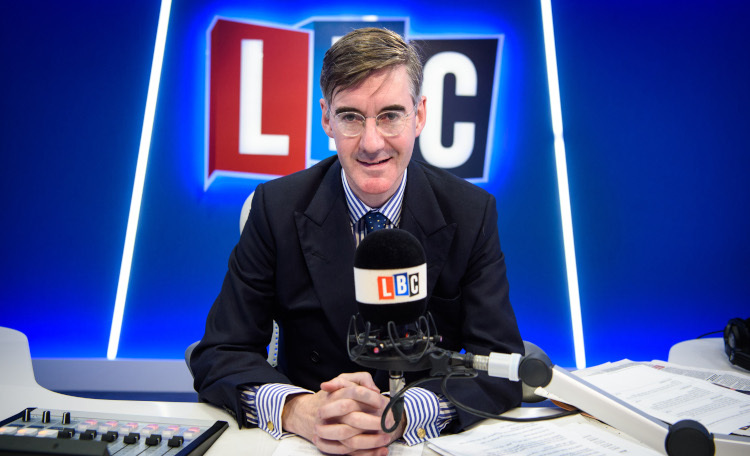 The new programme follows the success of Rees-Mogg’s live half-hour phone-in, every fortnight during Nick Ferrari at Breakfast. Launched last April, it gives listeners direct access to the MP, challenging him on the questions they want answered. He has also hosted a number of one-off programmes on the station. Surprised he even knows what a modern medium like radio is. Did they tell him he’s going to be talking on Marconi’s new station 2LO? Do you really think its wise to leave this comments page open? With all the chat about dogging do you mean? Maybe Jacob could read the International dog news on Radio London,s. ” The Barking Hour “when Philip from South Norwood is on holiday. Jo, and Anna would make him welcome.